What role can Social Media play in your marketing? In this day and age it is actually extremely important to your online presence. Enterprising Internet can show you how, when used correctly, it can increase your business and profits! With so many different social networking sites around it can be confusing and overly time consuming to your average business owner to know which to use, and how and when. Enterprising Internet can take care of this for you, creating anything from Optimised Google Maps listing to your Facebook and Twitter accounts. Social Media, once in play is a low cost way to market your business – no matter how big you are! Small businesses to massive companies like BMW have reaped the rewards from using social networking to their advantage. So many of us make decisions based on recommendations off of our friends. If you have a great Social Media plan in place, it is the equivalent of every good comment being spread to perhaps thousands of potential customers! It is a great way to communicate with your customers and reach people in your target audience. It gives your brand a personal identity and gives you a great place to spread your message.. 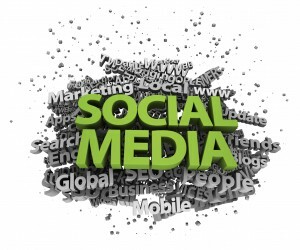 Contact Us today to talk about how Social Media can help increase your business today!